Put your brand head and shoulders above the rest! Giant cold air filled roof toppers, also called hot air balloon replicas are designed to either sit on the roofs of buildings or to sit in front of them. 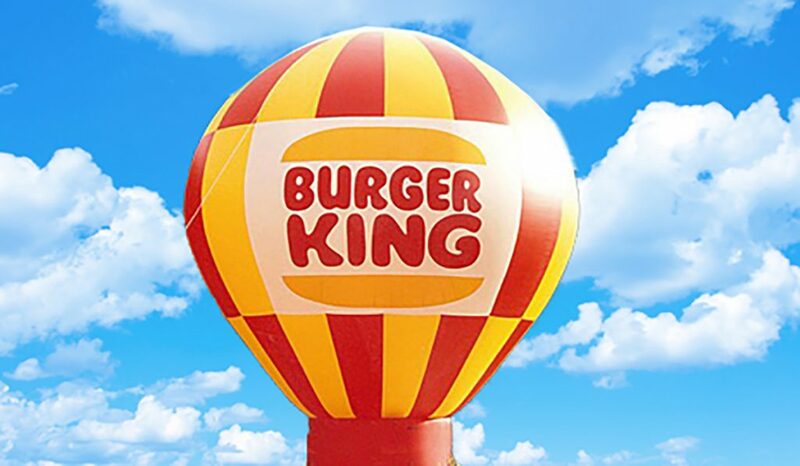 Inflatable roof toppers are designed to have artwork on detachable side banners, so you can interchange your artwork with various promotional campaigns. We can make the inflatable roof toppers in solid base colours or multi-coloured and in a variety of sizes ranging from 3m and above. Aerodynamically designed to withstand winds up to 30 miles an hour, they are ideal even for more exposed areas. Furthermore, the roof toppers can be internally illuminated to allow for 24 hour promotional activity.